Wielding the Cyber Warrior Twin Blade Set in addition to the laser pistol strapped to his hip, the mercenary tracked his target. Once in range he uncloaked, dispatching the cyborg before it could send a warning transmission. 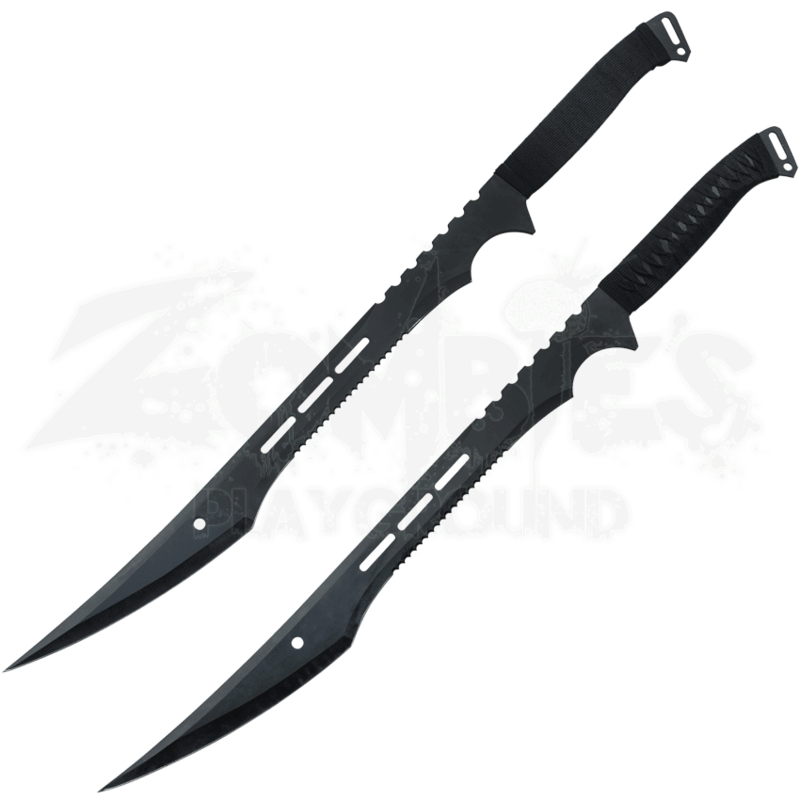 These futuristic dual blades have a distinctive style, with straight and serrated blades exhibiting decorative slot and round cutouts. The decorative stainless steel blades have a black finish. 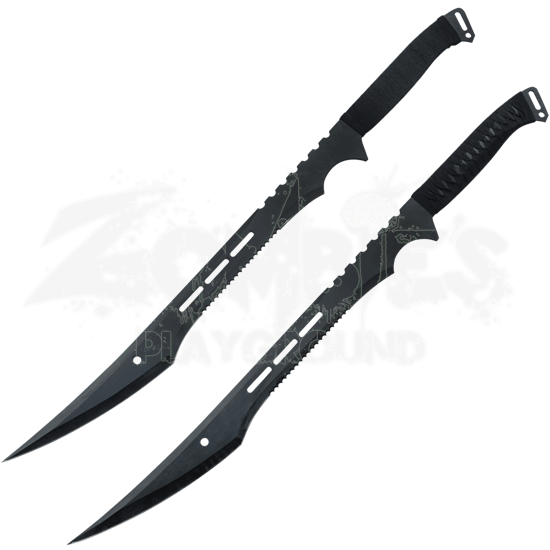 The full tang handles of these twin ornamental swords are wrapped with black cord. The black nylon sheath with an adjustable strap holds both collectible swords securely during transport and when not in use. The Cyber Warrior Twin Blade Set will make an exceptional addition to your collection.